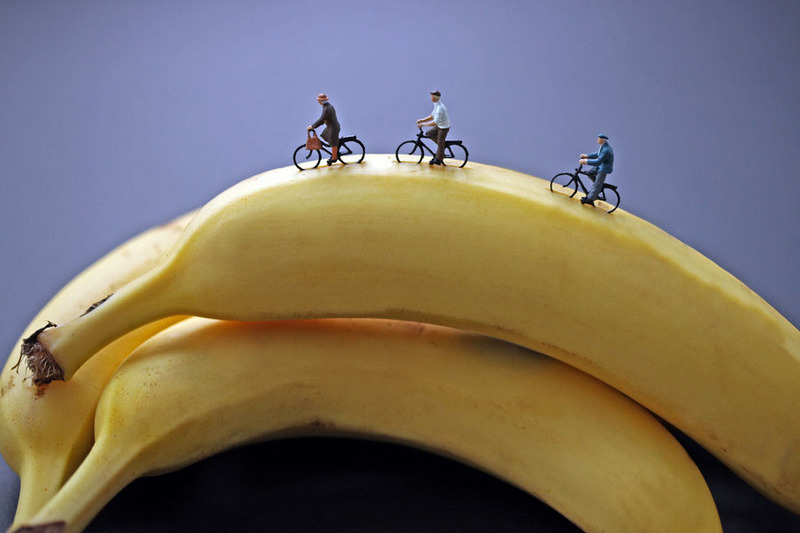 Greta and her pals enjoyed the smooth ride so much that they vowed to never again attempt a ride over the pineapples. Gary always uses too much mustard but no one can say anything. It’s a union thing. 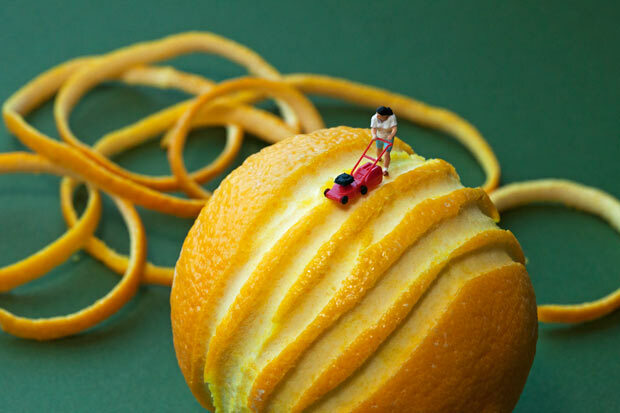 Seattle-based photographer Christopher Boffoli photographs miniature figurines performing varied tasks such as mowing an orange peel or excavating a berry pie in his Disparity Series, a humorous commentary on labor, portion size and American consumption. 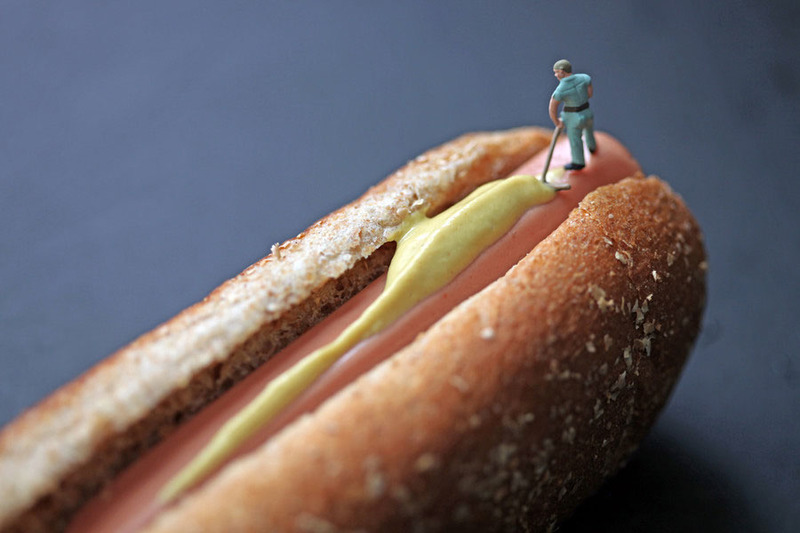 Part of his Big Appetites photographs include his latest series Edible Worlds which will be exhibited at the Winston Wächter Gallery in Chelsea, starting on June 21, 2012. 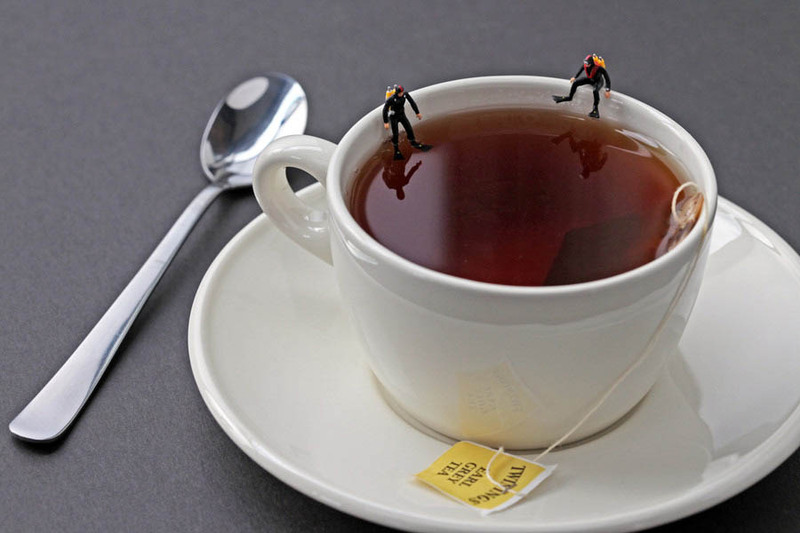 Not only are the photos humorous, but so are the titles (Canoe au Lait… Deep Tea Diver…) and the captions, see above for a sampling. You can buy greeting cards with some of Boffoli’s photos here. 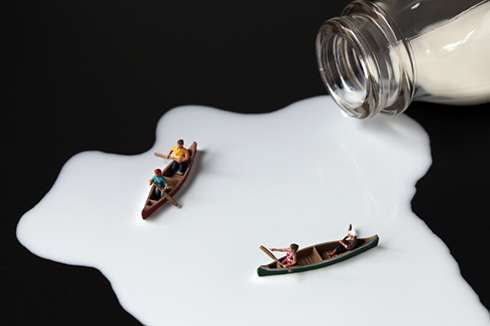 If you like Boffoli’s photographs, you might also enjoy Liliana Porter’s work here. This entry was posted in Art, Event, Food, Fun, NYC, Photography, Stuff We Like. Bookmark the permalink. 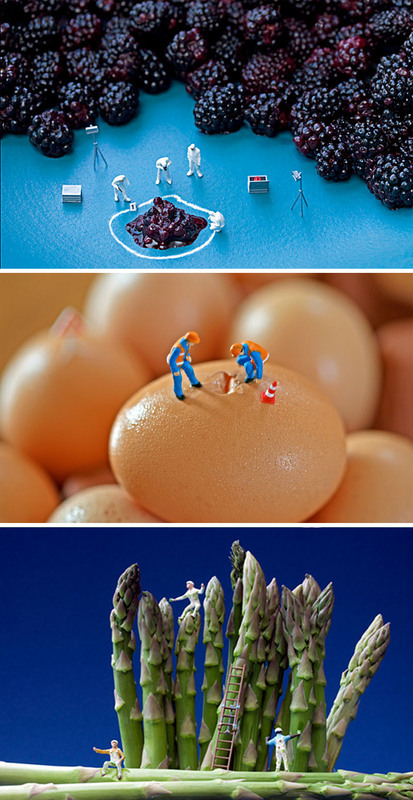 As a good friend once told me, “Everything is better as miniatures.” And as I enjoy the wonderful photographed scenes by Christopher Boffoli, I realize how right she was.